It ain’t rocket science … just ask!! 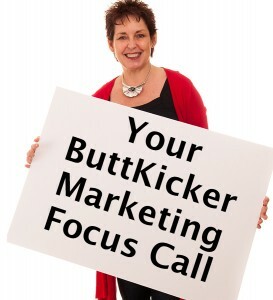 I had thought about doing this marketing blog as a video, bucket and sponge in hand on our driveway – but with the snow falling as I write, not on your nelly!! I don’t know about you, but I have some strange-sounding contacts in my phone contacts list – Mark Sparks, Ian Fridge Man and Johnnie Car Clean to name but three. Those very important people who you 100% need at key times. Let me tell you about Johnnie Car Clean. He’s a Brazilian by birth, always laughing, he’s passionate about cleaning cars, turns up in his van and simply plugs in his head phones and he’s off. A couple of hours later and the car looks like it’s just driven off the forecourt. Honestly, it’s miraculous! Now, I really do love a clean car – I’m just less keen on having to do the cleaning part and so Johnnie is one of my favourite contacts. But I don’t always think ahead and get him booked in. As I’d been travelling back and forth to my sister’s quite a lot around Christmas, my car had got into quite a state … she’s lives in a pretty rural location with a muddy unmade road leading up to the house. 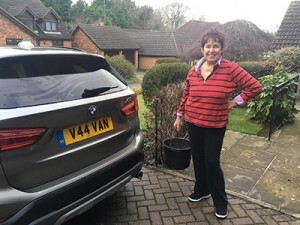 Come Boxing Day, I was so ashamed of how my car looked, I even got out the bucket and sponge come and did the job myself – the first time in 15 years by my reckoning! I’m pretty pleased with myself, as you can see! So, when I received a text from Johnnie saying “I’m in your area tomorrow, do you want your cars cleaned?”, I jumped at the chance! You bet. No sophisticated marketing campaign – just a simple follow up text message. Job booked in. And money changed hands the very next day. Following my last marketing blog post, one client emailed me at 7pm in the evening to say “Your article inspired me to shoot out some ‘before the second half of term starts’ emails to our dance school customers. They went out between 4 and 5 today – result : eleven bookings so far!” Not a bad payday for a single email! My point is, marketing to doesn’t have to be complicated. Especially when it comes to repeat purchases from existing customers. Or even getting those ‘quotes’ converted into business. It often just involves asking people to take action. So, when was the last time you asked your customers to book in with you?